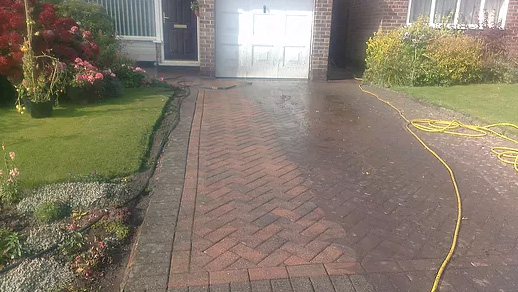 Star Jet Washing is a leading driveway cleaning company operating in and around Warrington, delivering quality customer service across the North West, UK. 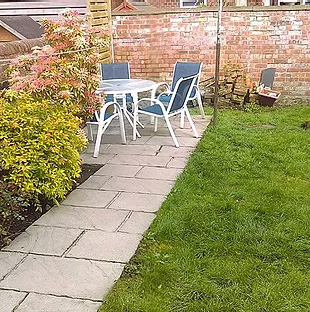 Our experienced cleaning specialists are a friendly and professional team; well-trained in providing a first class service to both our domestic and commercial customers. 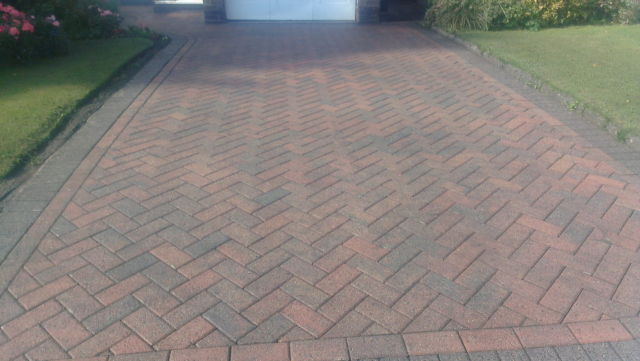 We offer driveway cleaning in Warrington at the most competitive price in the market. We are an honest customer-friendly company that ensures that we meet all your cleaning needs promptly, and accurately. 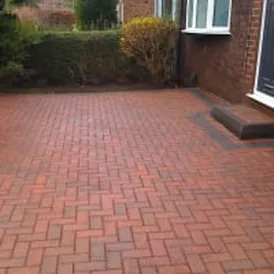 Make your weekends better, relaxed, and enjoyable at your spotless clean patio, walkway, and driveway. 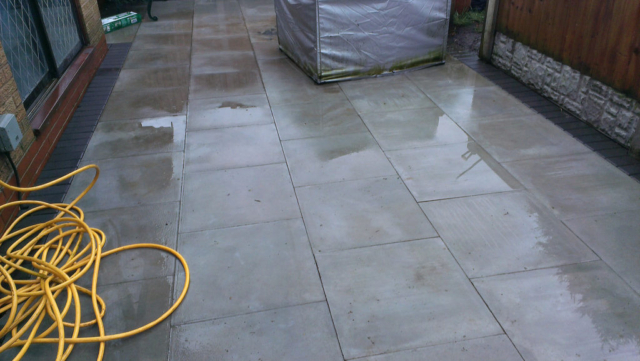 We use pressure washing on the surfaces. Pressure machines are high-powerful and excellent. 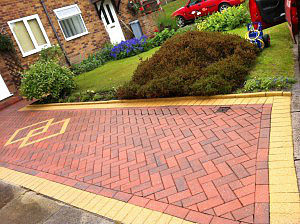 They use force-projected water spray that will not subject your surfaces to hard scrubbing which cause wear and tear. 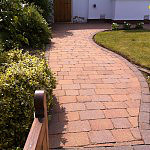 Driveways enhance the image of a premise. When deserted, mould growth reduces this beauty and value significantly. They make the compound look dirty and unhealthy. In most cases, the shrubs and stagnant water near the home allow the growth of this plants; lichens, moss, and algae. Similarly, wet weather favours their growth. 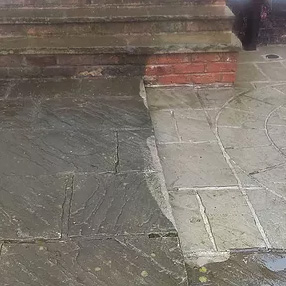 Our cleaning services make sure we restore the original beauty of your premises. We have the latest, sophisticated machines and detergents to clean. Also, our long experience enables us to offer the excellent surfaces. Besides the plant-related stains, spills equally pose a challenge on surface’s cleaning. They could be the oil spills from your car, or grease and the farm equipment’s oil spills. We have all the technique we need to handle this kind of stains. 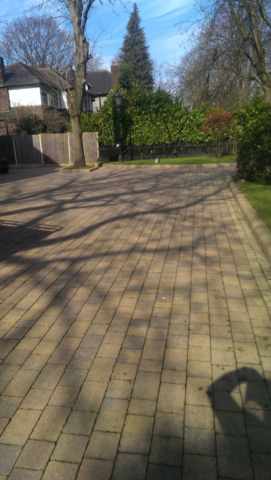 To the potential and the already existing customers in Warrington, your patio cleaning needs are sorted with us. 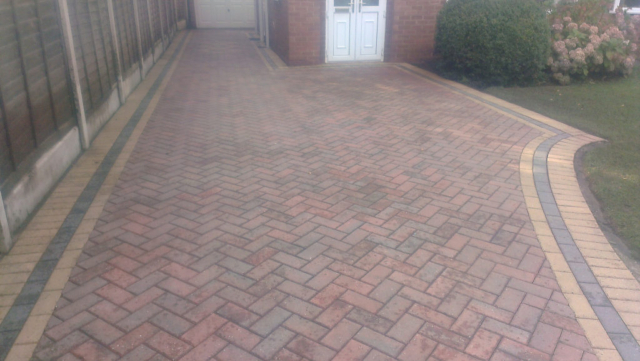 Star Jet Wash cleaners’ team will passionately do the patio cleaning for you and restore the lost glory. In case your swimming pool is close to the patio, do not worry about it. We have an excellent professional team that will see to it that cleaning is done without any interference to the pool. 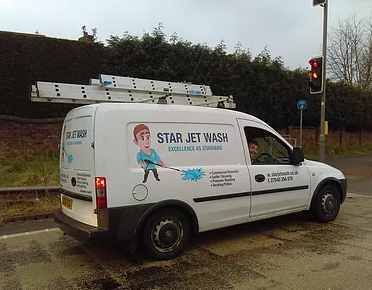 Star Jet Wash cleaning company has invested heavily in technology-based cleaning to cater for such circumstances. 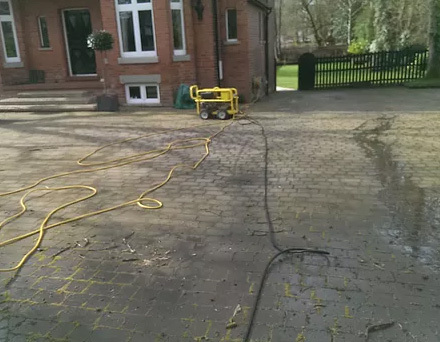 Driveway cleaning in Warrington and patio cleaning are not the only services we offer; we also do gutter and drain-pipe cleaning. This involves removing any clog on your gutter. Gutters need n to be regularly inspected, and any blockage attended to so that they do not get damaged from the heavy weight of the debris. Premises with many trees are more vulnerable to gutter clogging due to leaves and plants residues falling in gutters. 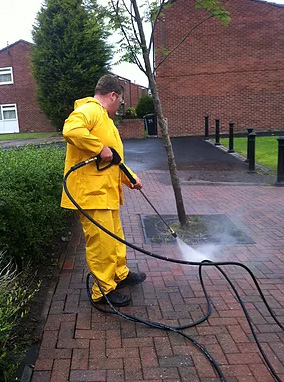 Star Jet Washing is the best company to contract both on private and commercial premises. 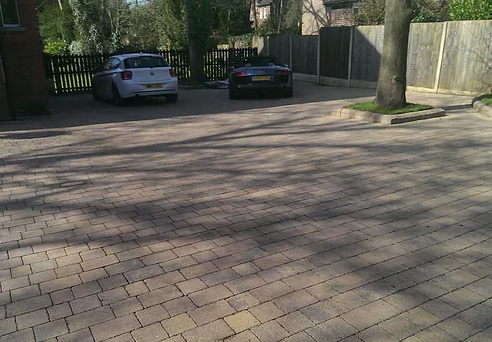 Our exceptional services have made us the most sought cleaning company all over the UK. You do not have to get overwhelmed with home maintenance. Give us a call for excellent services and exceptional customer support services.